Depth 20 ft. 3 in. Approx. Height 14 ft. 4 in. 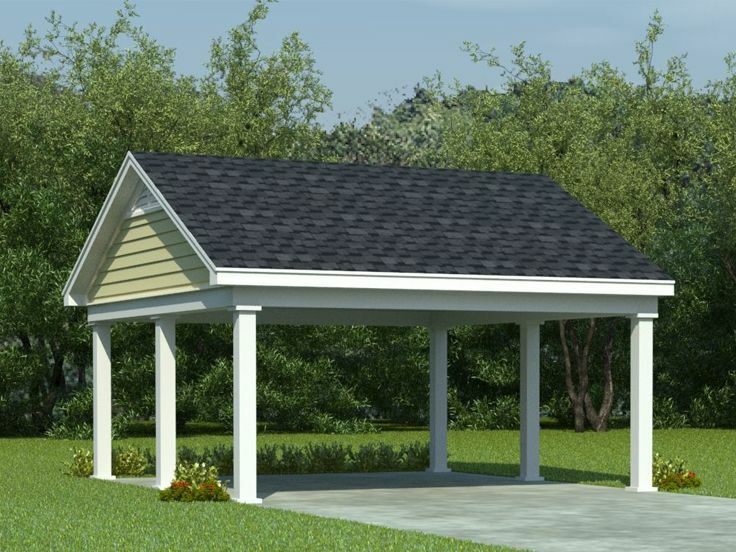 Whether you are looking for an economical way to add sheltered parking to your residence or prefer a covered area to work on your cars, wood crafts or other hobbies or you just want a sheltered place to grill and barbecue, this handsome carport plan can satisfy a variety of needs. 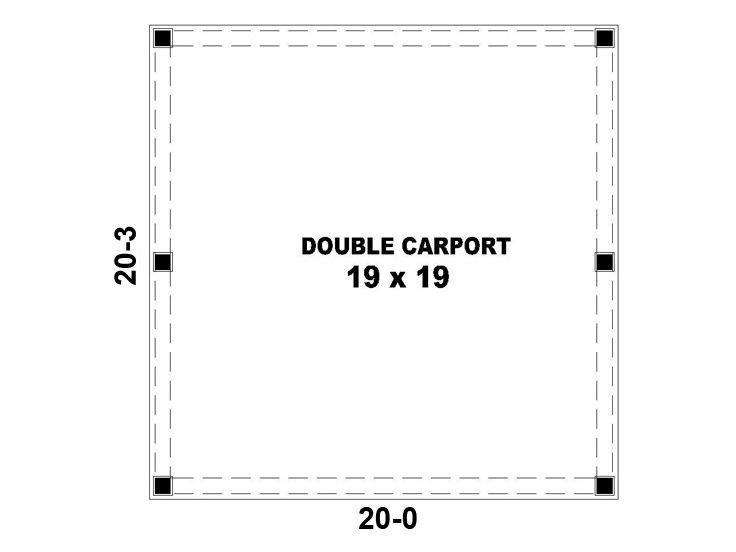 It offers 405 square feet of covered space and protects anything beneath it from the elements. Stylish 8" posts support the roof structure. 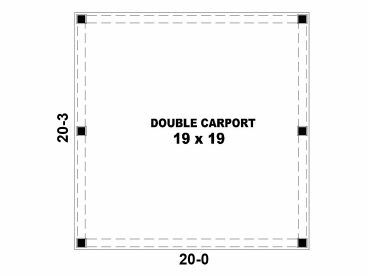 Add functionality and covered parking to your backyard with this two-car, carport plan.